Sharapova needed just 66 minutes to see off 12th-seeded Kasatkina in an impressive and timely display of big-hitting with the US Open getting underway in just under three weeks' time. 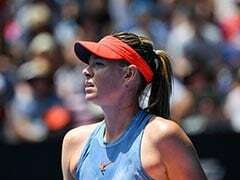 Maria Sharapova fired 25 winners past hapless Russian compatriot Daria Kasatkina in a 6-0, 6-2 victory at the Montreal WTA event on Wednesday, but Angelique Kerber's first match since capturing the Wimbledon title ended in a sobering defeat. Sharapova needed just 66 minutes to see off 12th-seeded Kasatkina in an impressive and timely display of big-hitting with the US Open getting underway in just under three weeks' time. 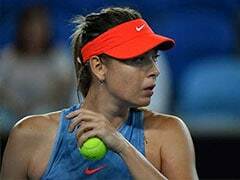 "I came on court having a lot of respect for my opponent because she's up and coming but has already established herself," said the 31-year-old Sharapova. 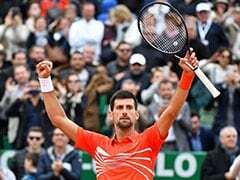 "I knew I had a tough match ahead of me. I was focused from the beginning and I finished it that way." Sharapova next faces French sixth seed Caroline Garcia for a place in the quarter-finals. Five-time major winner Sharapova leads the head-to-head against Garcia 4-1 but the French player won their only meeting in the last three years on clay in Stuttgart in April. 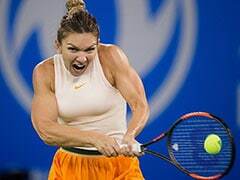 World number four Kerber, playing for the first time since defeating Serena Williams in last month's Wimbledon final, slumped to a 6-4, 6-1 loss to Alize Cornet of France. German left-hander Kerber committed 32 unforced errors against the 34th-ranked Cornet in her 85-minute second round exit. Cornet, 28, goes on to face Ashleigh Barty of Australia in the third round. 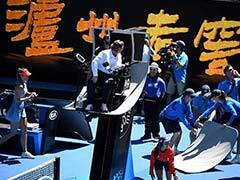 It was her second successive victory against Kerber having also triumphed on hard courts in Beijing last year. "It was my first match after three weeks now," said Kerber. "It's not always so easy to change the surface. 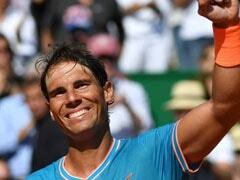 I think I need a little bit more time to get used to hard courts again." Barty, the Australian 15th seed, defeated Belgium's Alison Van Uytvanck 7-6 (9/7), 6-2 while recently-married Czech ninth seed Karolina Pliskova suffered a 6-2, 6-2 defeat at the hands of Kiki Bertens of the Netherlands. Fifth seed and defending champion Elina Svitolina went through to the third round after in-form Romanian opponent Mihaela Buzarnescu was forced to retire with an ankle injury. Svitolina was leading 6-3, 6-7 (5/7), 4-3 when the weekend San Jose champion turned her ankle and was forced to leave the court in a wheelchair and in floods of tears. 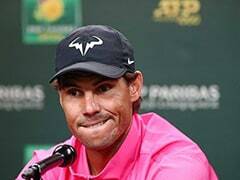 "Very tough to see players getting injured that badly on court. I wish @MikiBuzarnescu a veryyyy speedy recovery! 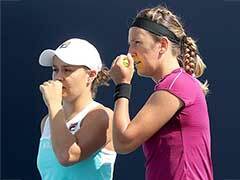 Stay strong!," tweeted Svitolina. US Open champion and third seed Sloane Stephens also made the third round by seeing off home hope Francoise Abanda 6-0, 6-2.